Gold is a barometer that warns of financial and political storms. When its price goes up as much as it has this summer, it is telling us that our country is in deep, deep trouble. “Gold’s meteoric rise” is just another way of saying “the dollar’s sickening plunge.” Because the dollar is our normal frame of reference, we think more in terms of the price of gold rising than the value of our currency falling. Gold provides a mirror image to the dollar, and the golden mirror is telling us that the Federal Reserve Note is critically ill.
Actually, the dollar has been sick for a long time. 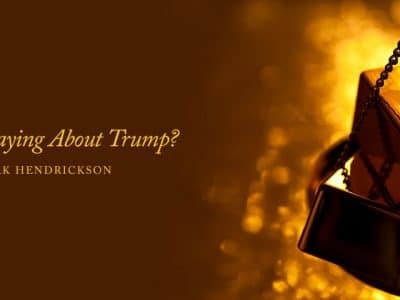 President Richard Nixon “closed the gold window” 40 years ago this month—that is, the United States defaulted—yes, “defaulted.” Nixon broke our country’s solemn promise to redeem our foreign trading partners’ paper dollars for gold. There had been another default in 1933 when President Roosevelt “closed the gold window” domestically by refusing to let Americans exchange paper dollars for gold. (Americans were free to own gold again without restrictions in 1975). Indeed, FDR even made it illegal for Americans to own gold, just as the Soviet communists forbade Russians to have dollars. But August 15, 1971 was the day that the dollar’s last link to gold was severed.